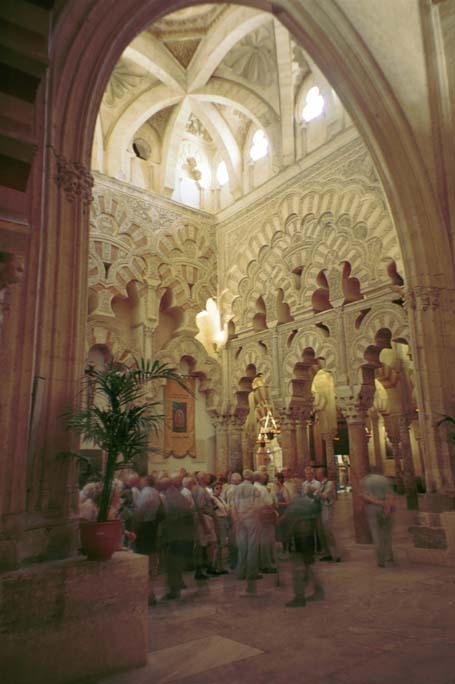 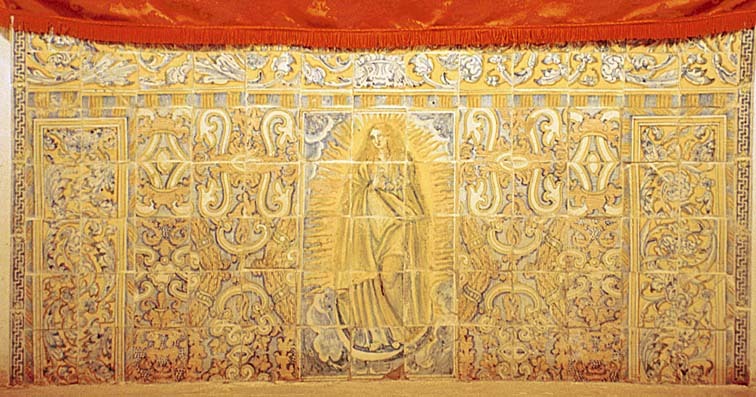 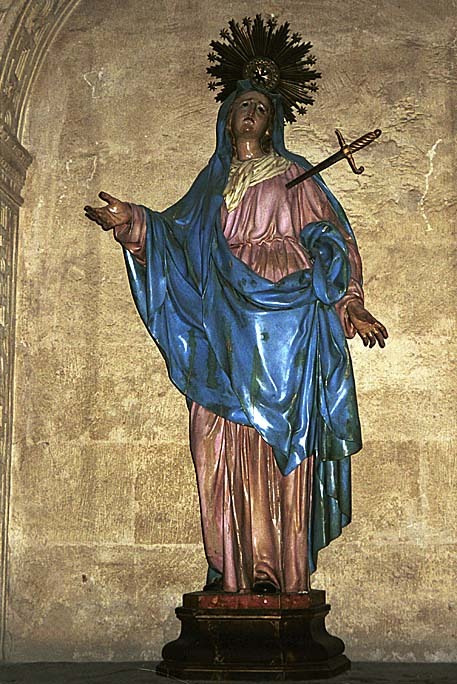 After the Christian reconquest of Cordoba, La Gran Mezquita was taken from its Moslem caretakers and dedicated as a Christian church. 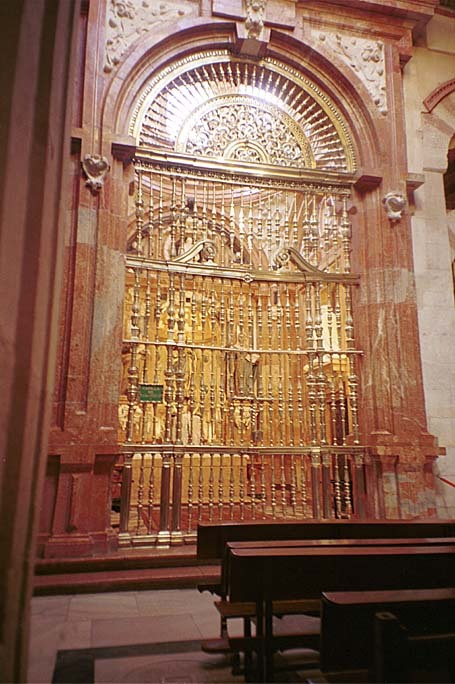 Altars were built into the closed archways and worship began. 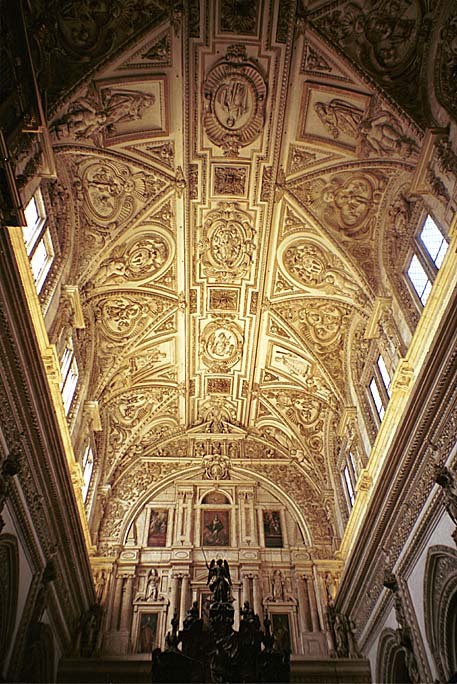 In several places, the roof was removed and a renaissance church was built. 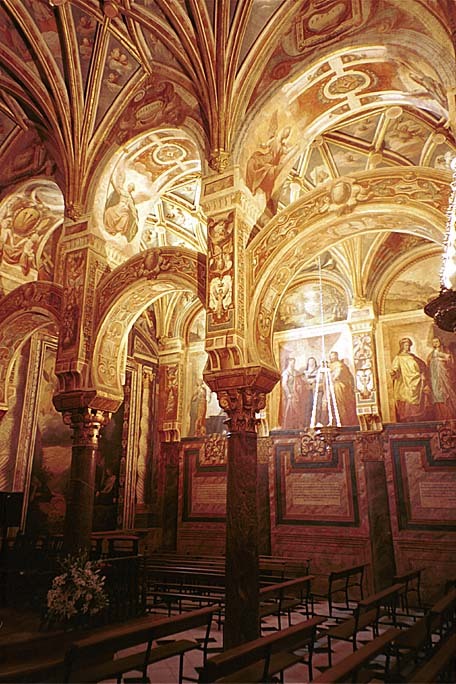 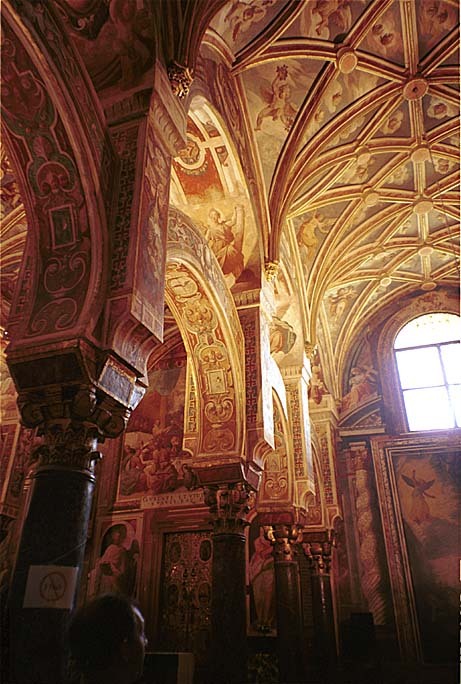 The result is a mix of Moslem forms and caligraphy and Christian church rooms, vaulted ceilings, and forms.